Obituary for Matlyne Harvey Brown | Beach Funeral & Cremation Services, Inc.
Our beloved mother, grandmother, great-grandmother, great-great grandmother, aunt and friend departed this life on October 8, 2018 after several months of illness. She is now resting in her eternal home with her Savior. 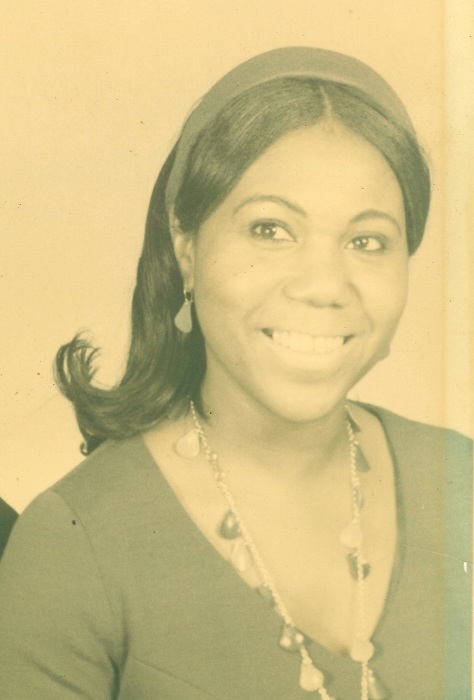 Matlyne was the daughter of the late Deacon William H. Harvey, Sr. and Jeanette Harvey. She was predeceased by her husband, Fred Brown; brothers, William H. Harvey, Jr. and James F. Harvey and sister, Alma Harvey Dailey. Matlyne attended public schools in Norfolk County and worked in the banking industry. In later years, she worked as a private healthcare provider until her retirement. She enjoyed sharing time with family, traveling and playing bingo. Matlyne leaves to cherish her memory, two sons, Gregory E. Harvey of Virginia Beach and Larry C. Harvey (Robin) of California, MD; her grandchildren, Jerell Harvey, Keisha Wilson-Fuller (Lemans) both of Chesapeake, Kenyon Wilkins (Tawanda) of Virginia Beach, Larry “Brandle” Harvey (Sinitra) of Upper Marlboro, MD and Briana Harvey of California, MD; ten great-grandchildren; three great-great grandchildren; a sister-in-law, Gloria Harvey of Norfolk; and a host of nieces, nephews and friends.